In March of 2009, during the worst of the economic downturn, we asked friends, family, and clients to suggest ways that people could have rich, Live Big® experiences without spending a lot of money. We received a tremendous response and were able to compile the creative and inspiring Live Big List. We were recently inspired by that idea to create The Live Big Chronicles, a new list that chronicles some of the things you can do to Live Big in the DC/Maryland/Virginia (DMV) and San Francisco areas without spending any money at all. Below is a sampling of some of the fun outings available in a neighborhood near you. This is just the start of the list! Let us know if you have a fun idea or activity to add. “DC Outdoor Films” DC Outdoor Films hosts an impressive number of outdoor film screenings all around the DMV area. The movie options are numerous and the dates for the screenings are spread out along the calendar to give you a wide variety of options when deciding which movie you’d like to see and when. –Screen on the Green – Watch free movies shown on the historic National Mall –Jane Austen Outdoor Film Series 2014 – View Jane Austen’s classic novels come to life onscreen at the Dumbarton House –National Harbor Movies on the Potomac – In addition to watching a great flick, this film screening location boasts picturesque views on the National Harbor See the complete list of outdoor films all around the DMV area. DC by Foot offers walking tours all around Washington D.C. Tours run an average of two hours and attendees are encouraged to tip for what you think the tour was worth or just what you could afford at the end (no obligation). A member of the Yeske Buie Team participated in a tour of Arlington Cemetery, and she really enjoyed learning about our nation’s history, getting exercise as the group walked around the city, and appreciating how cheap it was for such a great experience. 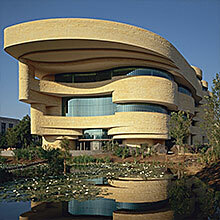 The national museums in Washington D.C., unlike San Francisco museums, are nearly all admission-free. Below is a list of some of the free museums you can visit throughout the year. The San Francisco Opera will be hosting a free concert at Sharon Meadow in Golden Gate Park on Sunday, September 7 at 1:30 pm. This free, public event will celebrate the opening of the SF Opera’s 92nd season. Bring your picnic blanket, food, and beverages, and enjoy music from the SF Opera Orchestra led by Music Director Nicola Luisotti. The Top of the Mark is one of the most iconic buildings in San Francisco. It is part of the Big Four, the four hotels at the top of Nob Hill that were an integral part of San Francisco’s emergence as one of the nation’s great cities. At the highest level of the hotel, there is a stunning room with a 360 degree view of the entire city with a dance floor and tables set up in the main area. On Tuesday nights, this space is converted into a theatre to host movie nights at the Top of the Mark. They offer free wine tasting from 5:30 to 7:30 pm and a free movie thereafter. The Stern Grove Festival provides the Bay Area with admission-free access to diverse performing arts over the summer each Sunday at 2:00 pm at a beautiful outdoor amphitheater at 19th Avenue and Sloat Blvd. Bring a picnic blanket, snacks, and drinks, and enjoy the free concerts at Stern Grove. AT&T Park has one of the best free viewing areas in major league baseball, a section in the stadium called the “Knothole” where you can view at least part if not all of a Giants game for free. There is a tight knit community of people who take advantage of this perk, particularly for games leading to the World Series or even World Series games themselves. The catch is that your viewing time will depend on the number of people who show up as the organizers will shift people in and out every three innings unless demand is low, in which case you can view an entire game for free. 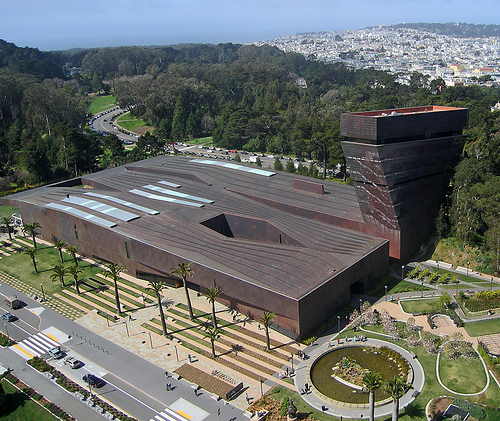 Unlike the DMV area, San Francisco museums are not admission-free EXCEPT on certain days. Below is a list of those days at some of the most popular museums and a couple of additional honorable mentions.